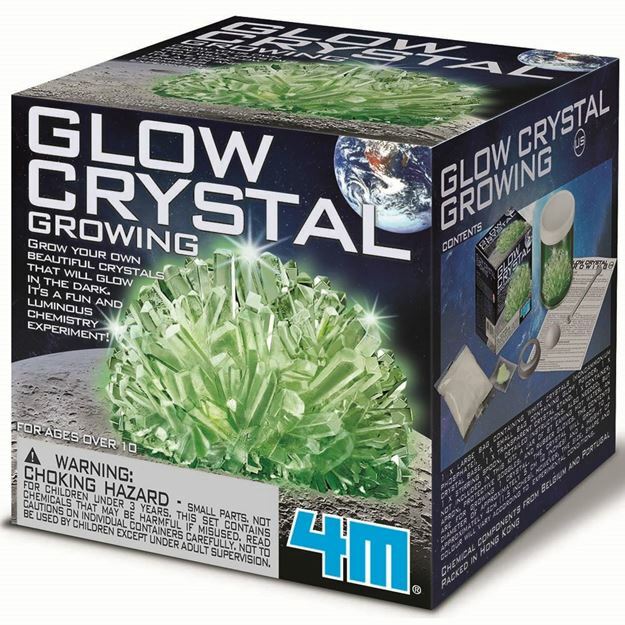 Grow your own beautiful crystals that will glow in the dark with 4M. A fun and luminous chemistry experiment! Grows one crystal approximately 5 x 4cm. Includes: a large bag of white crystals, small bag of glow powder, crystal base, transparent crystal stand, accessories and detailed instructions. Required: a jar of steaming hot water, apron, protective goggles and rubber gloves (not included). Age 10+ years.Distributed in New Zealand by Holdson.